The horses of CCHR would like to share their equine wish list with their friends and supporters! Many of the items listed below are available on the CCHR Wish List on Amazon.com. (If you have signed up to support CCHR through the AmazonSmile program, please order CCHR wish list items through AmazonSmile. The horses will receive donations on any AmazonSmile-eligible purchase). Please contact CCHR at (805) 758-8312 if you have any questions or would like more information in regards to the wish list. 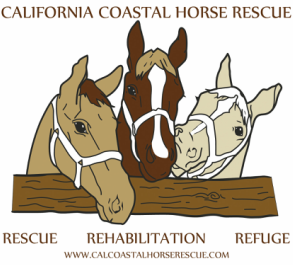 Thank you for your support of the horses who have found sanctuary through California Coastal Horse Rescue. Sweet PDZ Granules, 40 lb. Smooth Pea Gravel - 1/8" - 3/8"
Please contact us at connect@calcoastalhorserescue.com for a full list of projects.